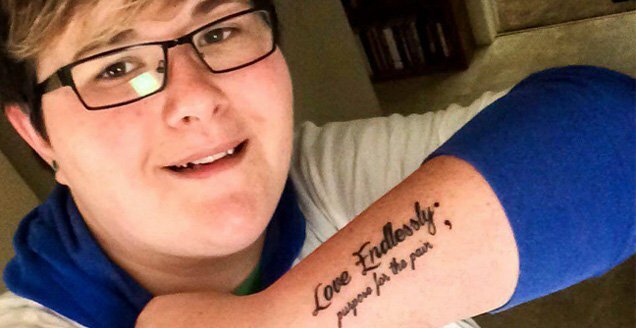 Amy Bleuel echoed this sentiment when she founded Project Semicolon on April 16, 2013. This global non-profit movement is dedicated to providing support for those struggling with mental illness, suicide, addiction, and self-injury. In 2003, Amy lost her father to suicide. Since the project’s humble beginnings, the semicolon has evolved into something much bigger. 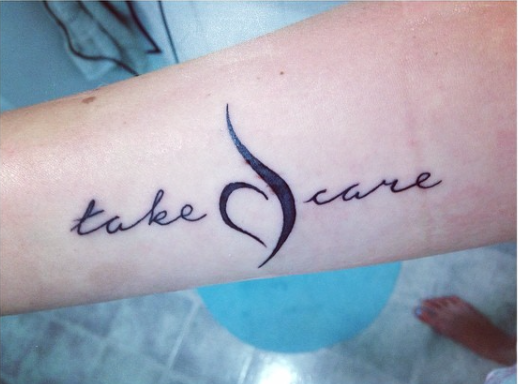 After one of Amy’s blog posts went viral, many decided to get inked with the symbol. What’s more: they started sharing their stories online and creating awareness around mental illness. It also became something people were willing to stand behind. As a registered charity, Project Semicolon raises funds to help fight stigma and present hope and love to those in need. Dusk Till Dawn Ink, a tattoo shop in Calgary, even donates a portion of the proceeds from semicolon tattoos to the Canadian Mental Health Association. What is it about mental health tattoos that help in the healing process? Supporters of the project have declared April 16th ‘National Semicolon Day.’ On this day, everyone is invited to post their semicolon tattoo on social media platforms like Twitter and Pinterest with the hashtag #ProjectSemicolon, raising awareness and celebrating the network of people who believe in moving forward despite their challenges. 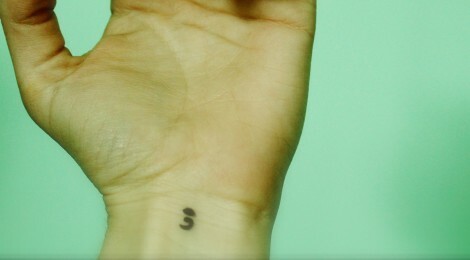 A simple punctuation mark; a tattoo; a network of support. Perhaps by wearing a symbol that represents the struggles and victories of the human spirit, the invisible becomes visible. And visibility is important when striving for universal acceptance.